Cayenne pepper together with bell peppers and jalapenos are types of Capsicum annuum. Cayenne pepper is moderately hot chili pepper used in many culinary dishes. Cayenne peppers are usually red and skinny, long with a curved tip. When used as a spice, cayenne pepper is usually dried and grounded to powder, together with the seeds, and provides a specific flavor and color to many dishes. Fresh chili pepper can be used as a spice as well. The main active compound in these chili peppers is capsaicin. Capsaicin is irritant for mammals, producing a burning sensation with any tissue it comes in contact with. Capsaicin, although irritant, provides a number of healing properties, as it has an analgesic effect. it is the main compound in topical ointments, dermal patches, and nasal sprays to relieve pain. Painful and inflamed joints associated with arthritis can also be treated with capsaicin cream. It will provide a relief from a backache, sprains, and strains. Eating a whole pepper with a meal can provide instant relief from a sore throat because it will reduce the inflammation due to its powerful anti-inflammatory and antibacterial properties. It is also a great source of thiamin, riboflavin, niacin, Vitamin C, B6, and folate. The bright red color is due to the presence of flavonoids and carotenoids. The main active ingredient of chili peppers, capsaicin, is a strong analgesic agent, providing relief from various painful conditions, such as inflamed joints due to arthritis, headaches, even migraines. Because of its anti-inflammatory properties, capsaicin is effective in reducing the inflammation in the throat infections, as well as providing a pain relief. Capsaicin among other things has a positive effect on air circulation in the sinuses. It will thin the mucus and stimulate the sinuses. 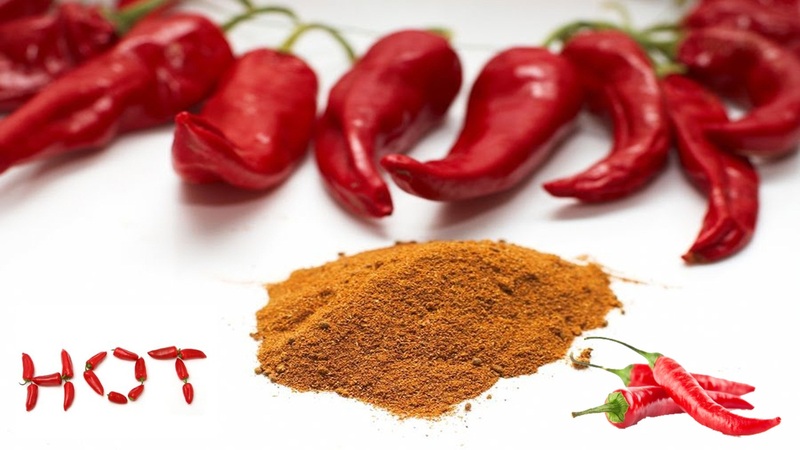 During congestion, eating foods with cayenne pepper can significantly ease your condition. The minerals and vitamins found in the chili peppers are providing a great number of healthy nutrients to our system. Many of the vitamins act like antioxidants which are known to improve and strengthen the immune system function.